I've read only the abridged version and not the entire thing either. I watched the author's YouTube interview's. He seems passionate enough, and knowledgeable enough, however my gut feeling is that this is not going to be the last word on the subject ... the end all and say all .... definitively ascribing the 528 Hz. Frequency to everything the author is touting it to be. Some research will offer other calibrations or challenges to validate or invalidate the exact frequency debate. Nevertheless the idea is intriguing. Because it aims at explaining a new observation that defines or redefines who we are, what life is and how it works ... as well as a speculation in to the spiritual order of things down here and/or up there, many people are already grafting up new, complimentary global theosophies to fit in the new info. The tendency of youth who first engage universal and especially new universal ideas. For example: when books like this have come out in the past 50 years or so ... very many times people jump in and merge the new info into a new "explanation" of everything. When the steam engine was around the mind body spirit connection was explained in those terms. That is, train is the physical body, the steam was the mind and the conductor was the spirit ... then cars came along and all of a sudden a new analogy took the steam engine's place, being that the car was the body, the gas the food and the mind/spirit the driver. The chemistry explanation too coming with the electron orbit discovery and it's similarity to the planets and sun ... then computers ... body = hardware with spirit the software codes' and God the Super Computer in the sky. Next the books like Holographic Universe ... where God is a Hologram and we are also. Then the Lucid dream = God is dreaming and we are part of his dream, blah blah blah. Of course the youth everywhere who grew up modeling the movie the "Matrix" now all share the idea that in fact the Universe/God and man are indeed Binary bits of a fragmented codex. Well it's so obvious that this movie has indeed colored this generations world view quite a bit, and yet it was a movie. That's my only quibble ... that he could have stated relevant findings and studies without throwing in alledged "proofs" that at best seem coincidental or even arbitrary. When he sights the fact that a mile is 5280 feet ... as further supporting evidence ... well I think the guy had too many espressos that day. 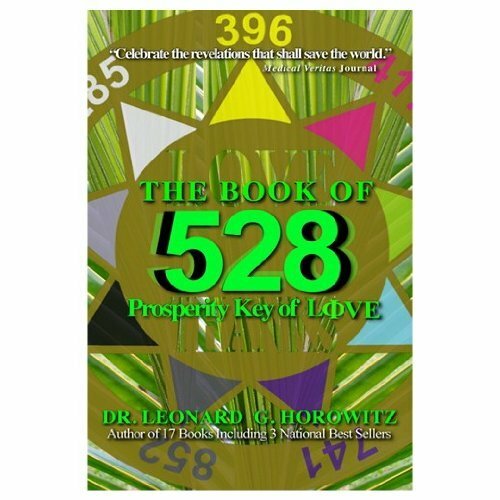 I mean if 528 is God's creative frequency ... then it was around a long time before some English comittee decided 200 years ago on how many feet would be included as a measurement they called a "mile". It was random and not even universal since the continent uses metrics now ... no mile in their system of measurement as also no "feet" either. So having read that I thought "well now he's seriously reaching".